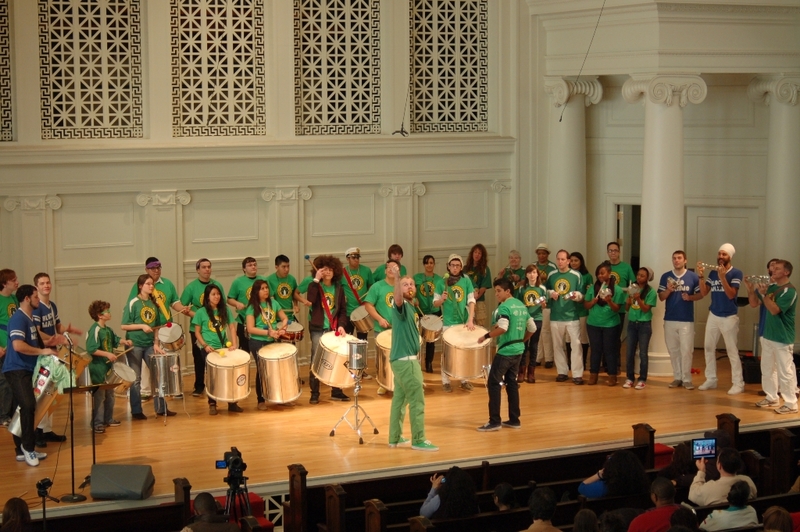 Register now for EEDS Percussion – Fall Classes start September 3! 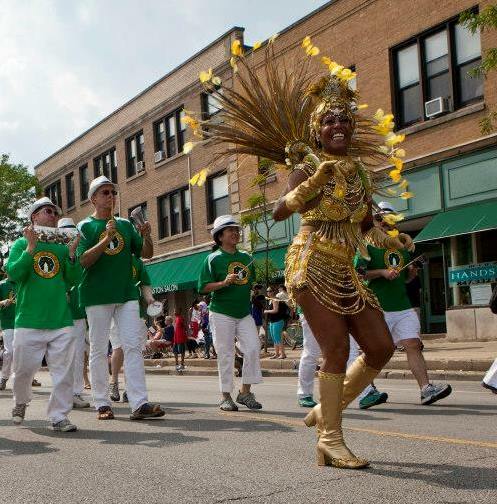 Fall is almost here and Evanston Escola de Samba is ready to welcome in the new season! Why don’t you join us for some percussion classes? Description: This class brings together all the instruments in a full Brazilian bateria, with a focus on advanced playing techniques, new rhythms, and refining the coordination between all of the instruments. Previous experience with Brazilian percussion is required, and this class is open to students who have already completed the “Beginner Bateria” class, or have participated in EEDS Performance Bateria previously. Please help with our survey – EEDS Classes Start September 3! We will use the results of this survey to provide the best possible value and structure for class payments for all our members. Your help is appreciated! And of course, mark your calendars for our next set of classes, listed below. Calling all sambistas and friends: Come join our 4th of July Parade! And while you’re at it, why not review some of our repertoire! Register now for a four-week samba class with Dill Costa! Want to add some Brazilian samba to your summer? Then join EEDS Head of Dance, the legendary Dill Costa, for an intensive and fun four-class samba dance workshop on Saturdays in June. In this class, you will learn the dances for the EEDS 4th of July parade, samba steps, techniques and more! Register Here. While you are at it – why not check out our Kickstarter page and help support our 4th of July Parade! Advanced Bateria Classes Begin May 7 – Register Now! Join an intensive 9-week section of dedicated percussionists as we prepare YOU to be part of our 2014 4th of July Spectacular. There is nothing like it! The bateria getting ready for our 2013 4th of July Parade. Photo by Laura Hamm. 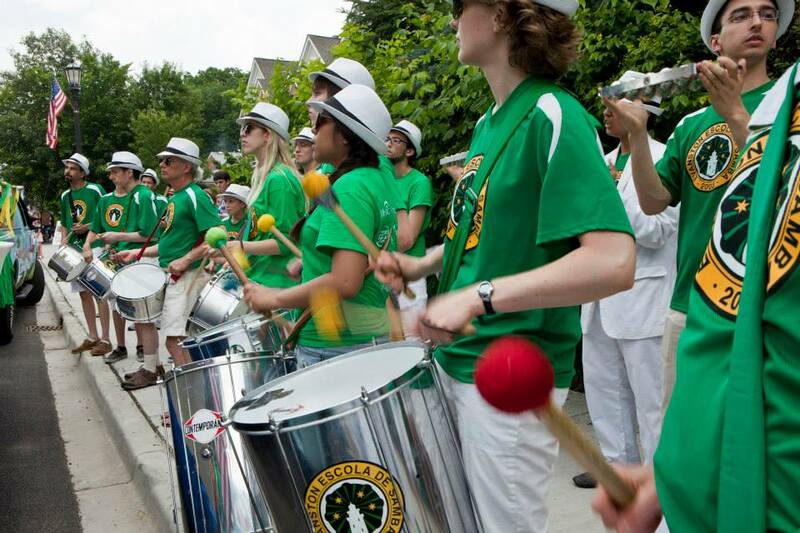 Description: In this class students will get an brief introduction to percussion instruments in a bateria group in preparation for for our enormous 4th of July Parade this summer in Evanston. Rehearsals will be nearly 2 hours every week (6:30-8:20 pm). All levels of enthusiasts are encouraged to attend. We are also excited to offer specific scholarships to offset tuition!! If you have any questions simply contact Reed Flygt (reedflygt@gmail.com). Class starts tomorrow – join us for a new 5-week session of percussion! To celebrate our new session, we are offering a giveaway for two tickets to the Luisa Maita concert on April 5th at Mayne Stage (1328 W. Morse, Chicago) at 9 PM. Not only does the concert feature Luisa Maita, but also friends of EEDS Silvia Manrique and Luciano Antonio. Luisa Maita is a rising star in Brazilian music so the concert is sure to be a lot of fun. How to enter? It’s easy, enter the giveaway here on Rafflecopter. You can earn up to 14 entries by completing simple tasks like liking EEDS on Facebook, tweeting about the giveaway, and you can even earn extra points for being enrolled in class. The only requirement is to join our mailing list (if you are already on it – this one’s a freebie!). You can complete as many or as few other entries as you would like. It says you have to log into Rafflecopter, but you just need to enter your name and e-mail so we can contact you if you win. The contest opens right now, and closes Friday at 11:59 PM, so hurry! The winner will be notified by e-mail and put on the guest list. Tell all your friends! EEDS’ Next Class Session Begins April 2 – Register Now! Join EEDS for our next slate of percussion classes, for children and adults. This is the opportunity for beginners to get started in the EEDS Bateria, or for experienced members to hone their skills. See you all there! Description: In this class students will get an introduction to percussion instruments in a bateria group, and learn the basics of each instrument such as caixa, surdo, tamborim and agogo. All levels of enthusiasts are encouraged to attend. If you have any questions simply contact Reed Flygt (reedflygt@gmail.com). CHILDREN’S BATERIA (5 weeks) – Register here! 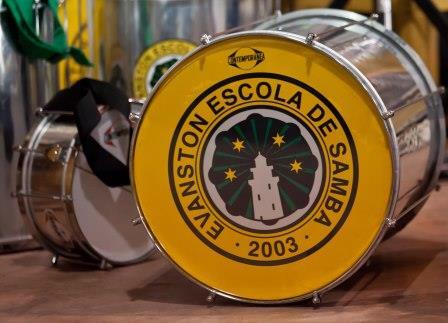 Description: Join Evanston Escola de Samba in a fun and enriching children’s class where we make music and learn about the different instruments of the bateria. The children’s group is open to all children 6 years and up, simply contact Reed Flygt (reedflygt@gmail.com). Parents are encouraged to register as well. The children’s bateria is also composed of current EEDS members. EEDS 6-week Brazilian Dance Class starts February 1! It’s Carnaval season! Come join us for a fun, energetic class that will help get rid of the cold winter blahs as you learn to move your body along with the tropical rhythms of Brazil! If you bring a friend for the full session, you each get $5 off registration. In this class we will explore many different styles of Brazilian dance such as samba, batucada, olodum, axé and forró. Wear comfortable workout clothing and comfortable shoes such as dance gym shoes, jazz shoes, socks or regular gym shoes. Heels are not recommended. Bring a small towel and water bottle. We are going to sweat!! EEDS Children’s Percussion class starts next week, Jan 29th! 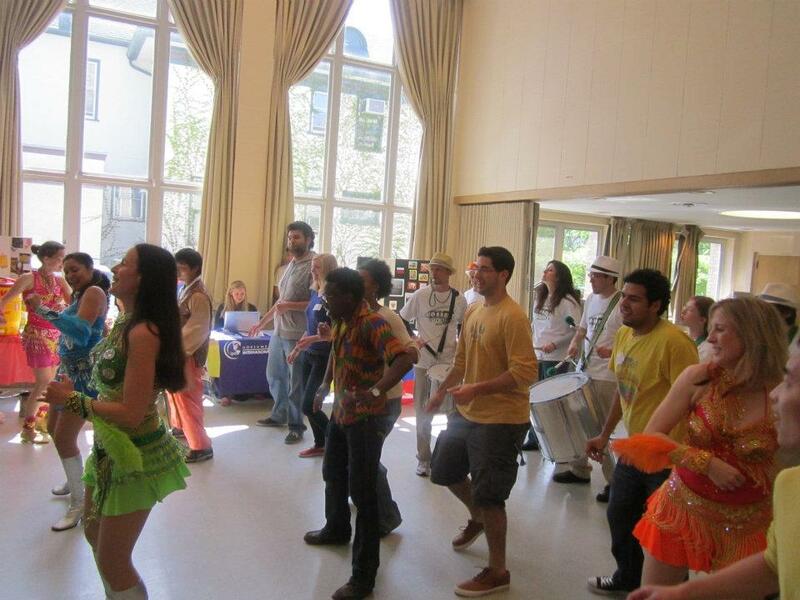 Samba is fun for the whole family – bring your kids/grandkids/neices/nephews/etc. aged 6 and up for our children’s percussion class. No experience necessary and instruments will be provided for class. CHILDREN’S BATERIA (7 weeks) – Register here! 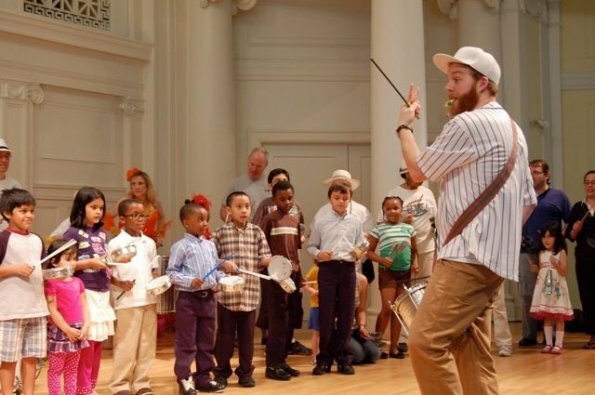 Join Evanston Escola de Samba in a fun and enriching children’s class where we make music and learn about the different instruments of the bateria. The children’s group is open to all children 6 years and up, simply contact Reed Flygt (reedflygt@gmail.com). Parents are encouraged to register as well. The children’s bateria is also composed of current EEDS members. EEDS Dance and Percussion classes start tomorrow, Jan 8! Our next session of classes starts tomorrow, come join us for some Brazilian dance and percussion and warm up this winter! ADVANCED BATERIA (10 weeks) – Register here! SAMBA DANCE WORKSHOP WITH DILL COSTA (3 weeks) – Register here!